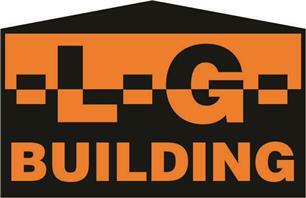 L G Building Poole Ltd - Bathrooms, Builder, Kitchens based in Poole, Dorset. Firstly thank you for coming to look at my web page with Checkatrade. I hope that I can help you with your new project. I’m a family man and know how important it is to find the right trader for the job. I have had extensive experience in the building trade bringing peoples dreams to their homes. Through my experience I have seen the horrendous jobs done by poor builders and am ashamed that they represent our trade, which is why I have joined Checkatrade to show that I’m not this type of trader. LG Building Poole Ltd is a quality firm that cares about the way we treat all our customers. We can do anything from the dream to the complete finish of your project whether it is a complete New build to an extension, refurbishment or a new Kitchen to something small. We are also extremely innovative bringing modern flair to your project. For instance recreating your kitchen so it brings full light to the house with bi fold doors and a bigger family area to opening up your home to show more glass with a fashionable, sophisticated look. Any problems you have after the project is finished we will happily return to rectify. Domestic- period cottage, listed building, flat, terraced house, detached houses. bungalows, garages, modern builds, Old heritage property’s, Barns, Water towers. Commercial businesses - farm, Hospital, church, offices, shop, hotel, schools, council, letting agents with property’s on their books and New shop layouts, refits. Creating a look = Old fashioned looks, period looks, modern, contemporary, environmental, recycling, heat saving, energy efficient, homes. Whatever the look you want we will capture this and create. Covering - Bournemouth, Poole, Hamworthy, Upton. Broadstone, Wimborne, Christchurch, Southborne, Mudeford, Highcliffe, New Milton, Bransgore, Hurn, Boscombe, Kinson, Charmister, Wallisdown, Canford Heath, Canford Magna, Parkstone, Sandbanks, Canford Cliffs, Lilliput, Oakdale, Talbot Woods, Ferndown, Longham, St Leonards, Ringwood, Fordingbridge, Verwood, Cranborne so all of Dorset and BH postcodes including the New Forest. I hope this gives you the information your looking for and my pictures show you the quality of the work I carry out, but mostly my feedback will also happily show this. . If there is anything I haven’t discussed then Please feel free to call us and tell us your worries, concerns, ideas, needs and we will do our best to put your mind at rest, showing you how we can care for your home in the way you need us too. Free estimates so get us round now! !